If there is one book that stood out in the last weeks, it is this one. It came as a recommendation from Don Kevilus, though because I didn't write the name down right away I didn't remember it when I went to look for it. Good that Nick from Skills for Wild Lives mentioned it in an article, so I found it again and have been thoroughly enjoying it. The Conovers remind me a bit of the Jardines, though I find them (Conovers) much more likable. The book is excellently written and captures the reader's interest, so that it is difficult to put it down. Good photographs, excellent drawings and even patterns for making your own gloves, anorak, tent and moccasins are included - a tomb of knowledge! I wish I would have read this at the start of the winter, and not at the end. It is an outstanding book, and I am going back to it all the time to look up a thought or idea. While you won't hear Garrett and Alexandra talk about Ultralight gear - they value traditional materials and craftsmanship, based on by native Americans - they have lightweight principles in every aspect of their gear. Very fascinating is also their two month journey across Labrador in the depth of winter, and which beauty and also hardships they encountered. I was so fascinated by the book that I ordered the "Making The Attikamek Snowshoe" book and am planning to try to build it during the summer, and also will try to build my own toboggan. If this sounds like a departure from UL for you, so rest assured, that is not going to happen - it is more to broaden my horizon and learn more. The idea of stove-heated tent in winter is very appealing to me, and with companies like Four Dog Stove and Titanium Goat producing UL alternatives for stoves and tents, I am certain this is possible and can enhance the winter hiking experience. 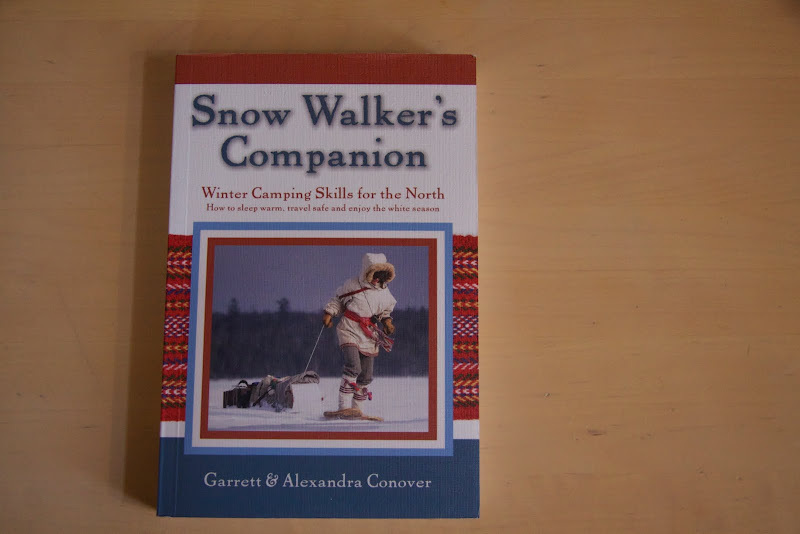 If you plan to get your winter camping skills up to par, I highly recommend this book. Its promise of letting you know of "How to sleep warm, travel safe and enjoy the white season" is not marketing BS, the Conovers impart their years of experience, and the skills from the natives with whom they have talked, with the reader, in an excellent book. Disclosure: I have an Amazon Affiliate account and would earn a few cent if you buy the book via the link.